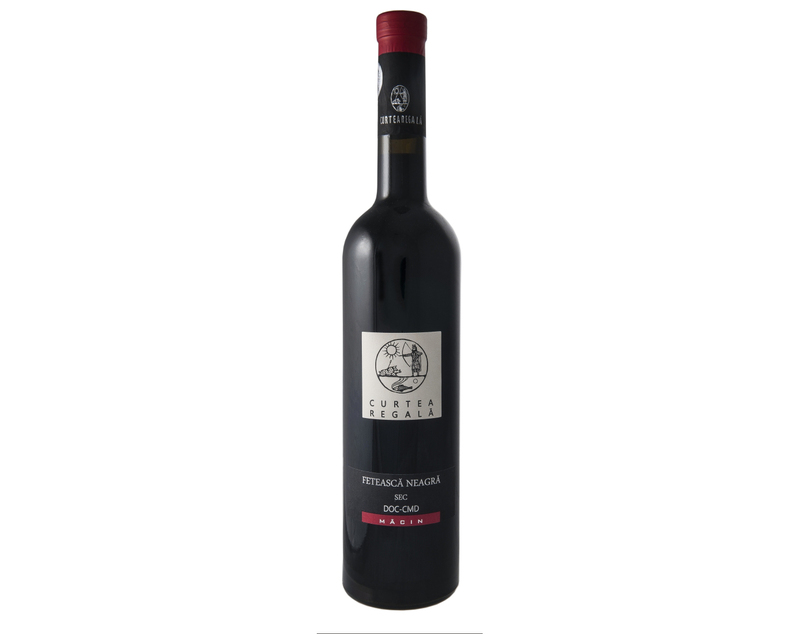 A full bodied wine with black blueberries, dried almonds and light overtones of dark chocolate. The Black Feteasca grapes are native to Romania and are picked from vines at the foot of the Macin Mountains. The harvest is on cold mornings in late Autumn. This beautiful wine has purple tints in the colour. It is full flavoured with velvet-like fresh tannins. Both the nose and taste will offer up blueberries, dried almonds and light overtones of dark chocolate. With a DOC classification the 2013 harvest won a Silver award at the National Wine and Spirits Competition INVEST in 2014. Food match: Red meat dishes such as beef, pork or lamb as well as sharp cheeses.